Ticket sales are no longer available online but you will be able to purchase them at the door. 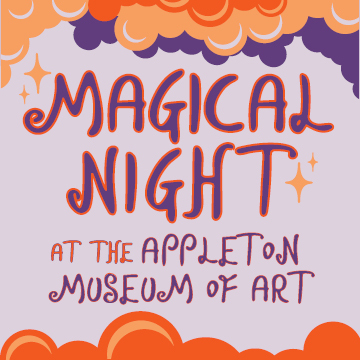 Or, become a member of the Appleton at the Family Level ($60) from March 4–April 20, 2019 and receive $15 off the family ticket package for members. To join, contact Colleen Harper, harperc@cf.edu or 352-291-4455, ext. 1831. Thank you to our generous event sponsors: Ocala Civic Theatre, SeniorLearners.org, PDQ Ocala, WOCA The Source, Fun4Ocala Kids, Fine Arts for Ocala (FAFO), CenterState Bank, Earth Fare Ocala, Ocala Eye, and Susan Peters.